Confession: I don’t know the name of this dragonfly I spotted this afternoon in Anjajavy. 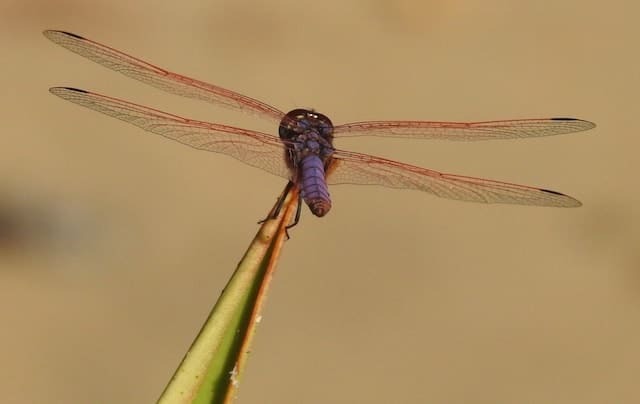 My best guess is Trithemis annulata, the violet dropwing, which is found from Africa to southern Europe and southern Asia. I’m posting this photo anyway, because this dragonfly was too pretty to pass by.